Lemming obliterated! I no longer need Essie Starry Starry Night. I have Chicago 2016 in my life! 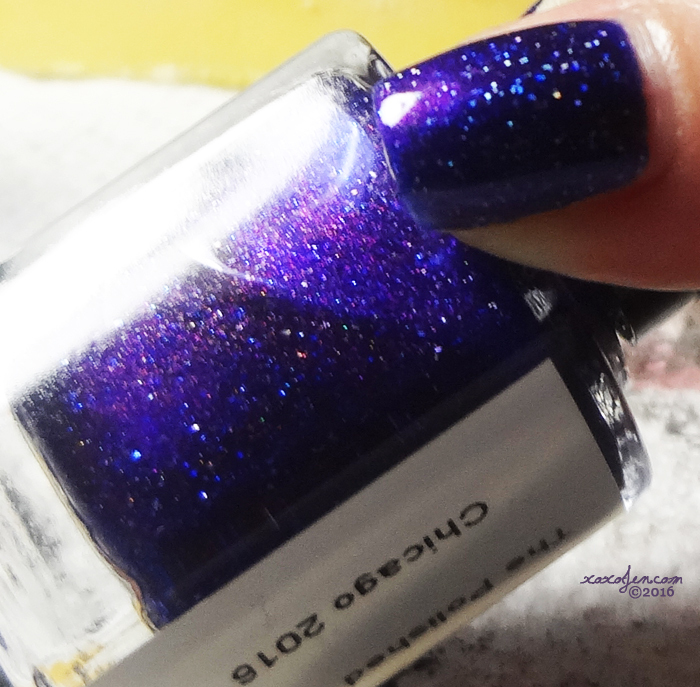 For approximately 7 years - yes SEVEN - I have had a lemming for Essie Starry Starry Night. That changed last night when I painted my nails with Chicago 2016. 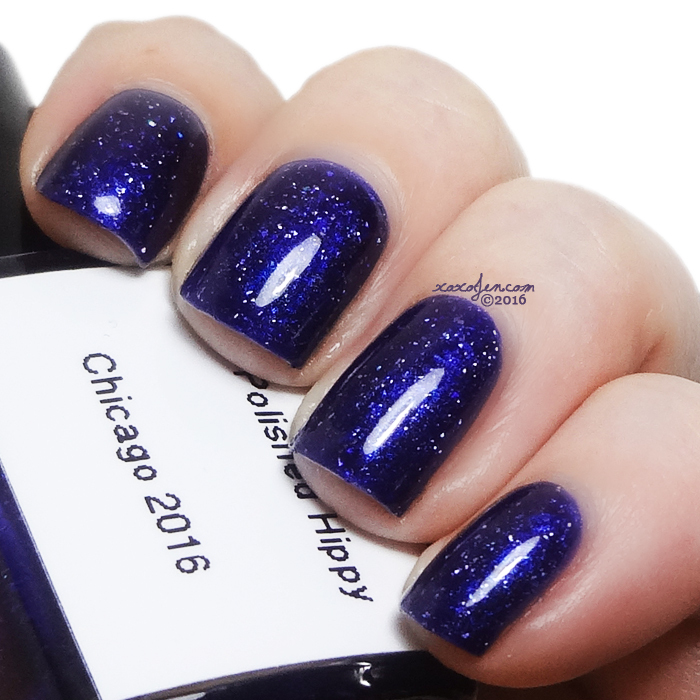 Chicago 2016 has a beautiful blue jelly base packed full of reddish shimmer and the perfect amount of tiny holo microflakes. 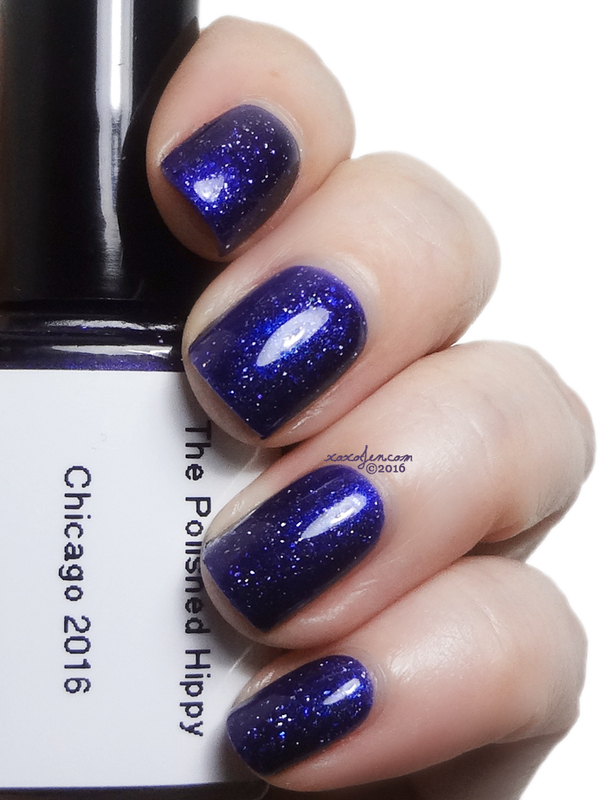 The shimmer tricks the eye and makes the polish appear to be purple at first glance. Opaque in just two coats. Much depth, Many squish, WOW! 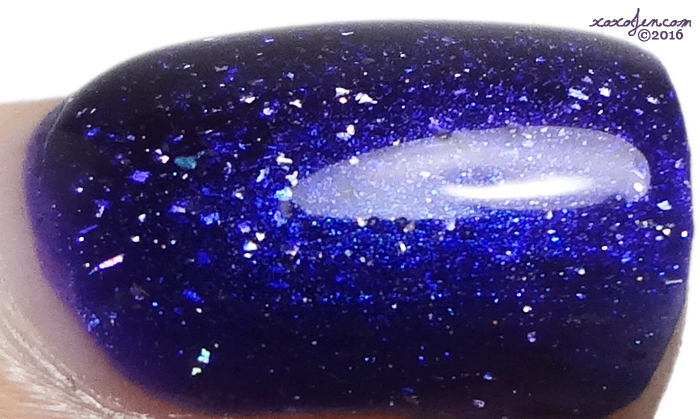 Where did I get this amazing, magical, stunner of a polish? I had the pleasure of finally meeting Arian of TPH at Polish Con 2016. Known to many online as An, she is a delight to converse with and is quite thoughtful. She created this beauty herself and then gifted a bottle to me while we were setting up at Polish Con. I'm not usually one to gush, but this polish has made my day, twice! I am adding the below photo, while quite blurry and lighting quite crummy, to show off the reddish shimmer as it shows in most regular lighting situations. It was an absolute joy to finally meet you, Jen! I'm so excited that you love your "orange" polish, hehe. Actually, the slight shift in it has a touch of warmth (orange even?) to imitate the light pollution of the Chicago night sky - I always marveled that the sky there was more of a murky purple due to all the lights. This polish is super pretty!